I like it! 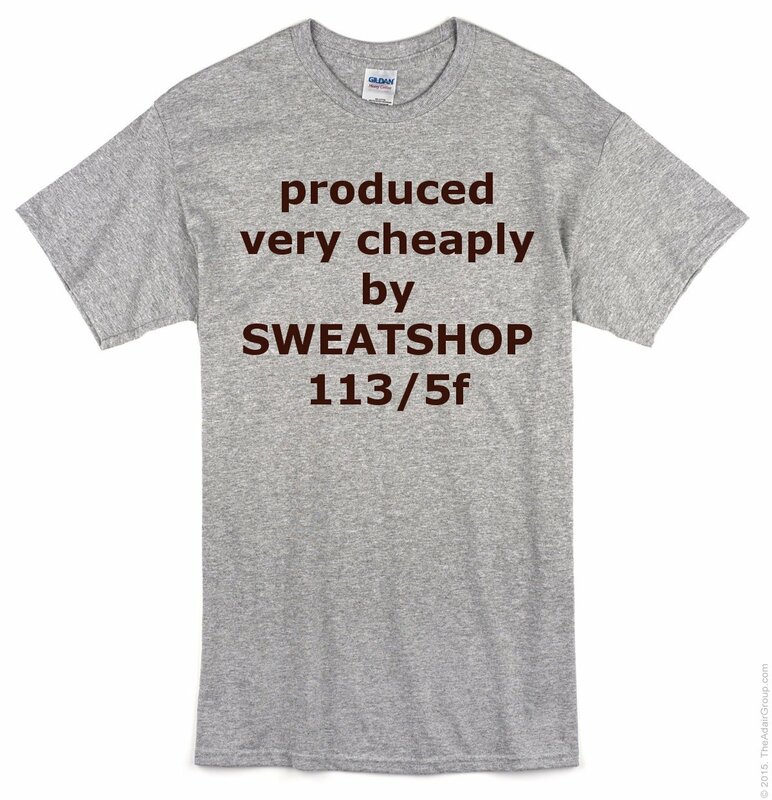 The most honest T shirt in the world. 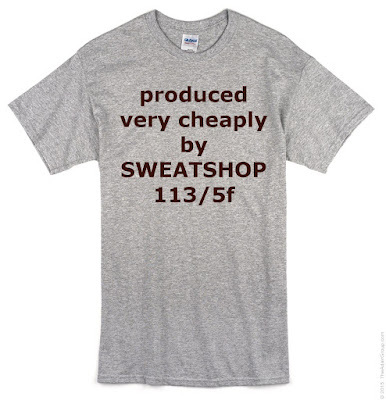 If it were printed and worn by lots of people then the next design would tell anyone viewing it how many gallons of water it took to produce the T shirt being viewed, and how many people said amount of water could have used more usefully in various ways. Frugal washing and personal nourishment, or watering seeds that become food being among them.